In the global market for customer service software, Zendesk is once again recognized as a leader in the 2018 Gartner Magic Quadrant for the CRM Customer Engagement Center. Every year, Gartner conducts a thorough analysis of service providers in the customer service and support application space. 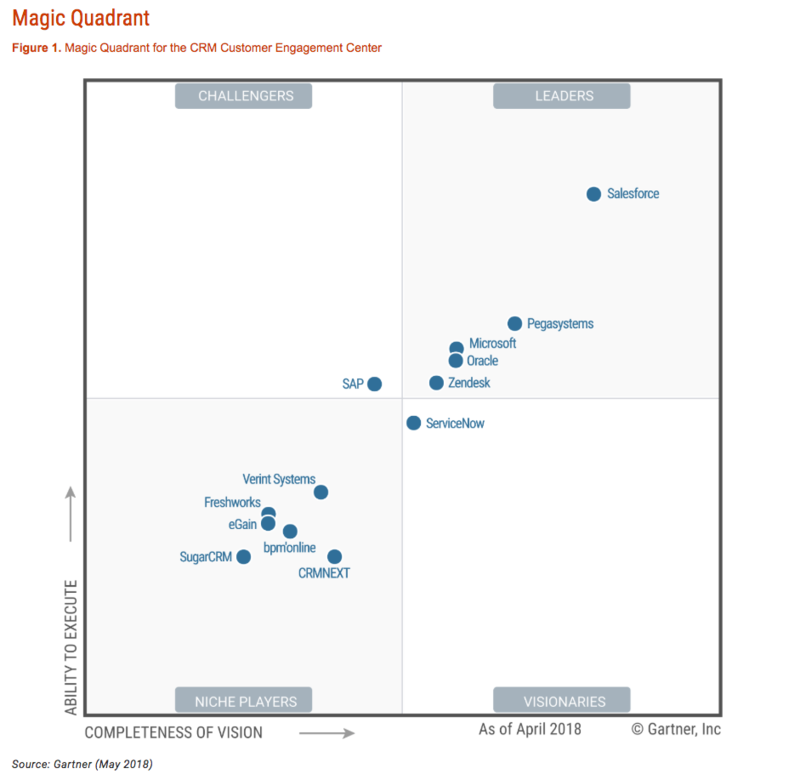 We believe the Gartner Magic Quadrant for the CRM Customer Engagement Center report provides valuable information for business leaders who seek technology solutions for interacting and engaging with their customers. Zendesk can again be found in the 2018 report’s Leader quadrant, which we consider a reflection of the success of our 125,000 customers, including enterprise clients like Airbnb, Tesco, and the University of Tennessee. The past year alone has included a number of significant milestones for us, including the release of AI-enhanced features for self-service and surpassing $500 million run rate in revenue. As our customer base continues to grow, we strive to be a dynamic vendor for businesses that deliver exceptional customer experience. This graphic was published by Gartner, Inc. as part of a larger research document and should be evaluated in the context of the entire document. The Gartner document is available upon request from Zendesk. Here’s your complimentary copy of Gartner’s 2018 Magic Quadrant for the CRM Customer Engagement Center. Want to learn more about why we're in the Leader quadrant? Watch the Zendesk demo or contact us here.